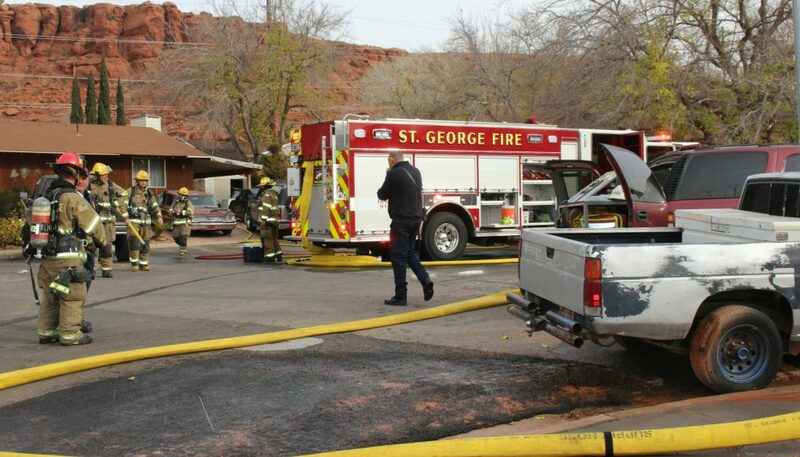 ST. GEORGE — A fire at a St. George home was quickly extinguished thanks to a combination of working smoke detectors and a rapid response by the fire department. 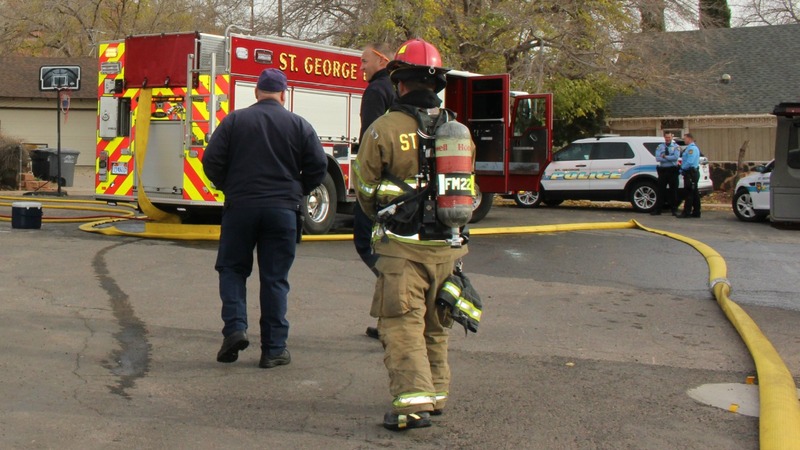 Shortly before 10 a.m., firefighters were dispatched to the structure fire involving a single-story residence in the area of 1130 North Circle off Bluff Street that reportedly started in the kitchen, St. George Fire Battalion Chief Robert Hooper said. Firefighters responded with four engines and found an “active fire in the kitchen with smoke showing,” Hooper said. 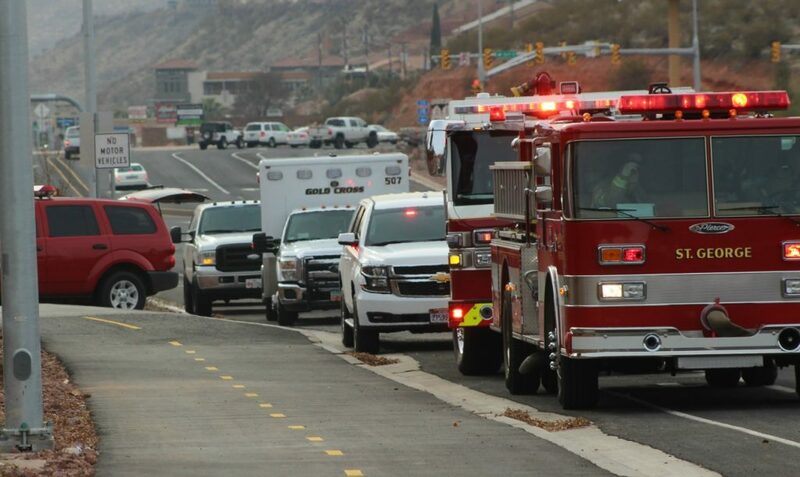 Meanwhile, St. George Police Officers arrived to secure the scene, and Gold Cross Ambulance sent a medical crew that remained on standby to check the residents for any injuries related to smoke inhalation. Firefighters established hose lines and after attacked the blaze. They extinguished the flames quickly and then checked for burning embers or any evidence of the fire spreading to the home’s attic area. The tenants told fire officials they were alerted to the fire by the home’s smoke detectors. When they found flames coming from the kitchen, they called 911. Hooper said the early warning from the smoke detectors combined with the firefighters’ rapid response may have reduced the amount of damage caused by the fire. The fire department’s investigation into the blaze revealed the fire was started “by an issue with the stove,” Hooper said. 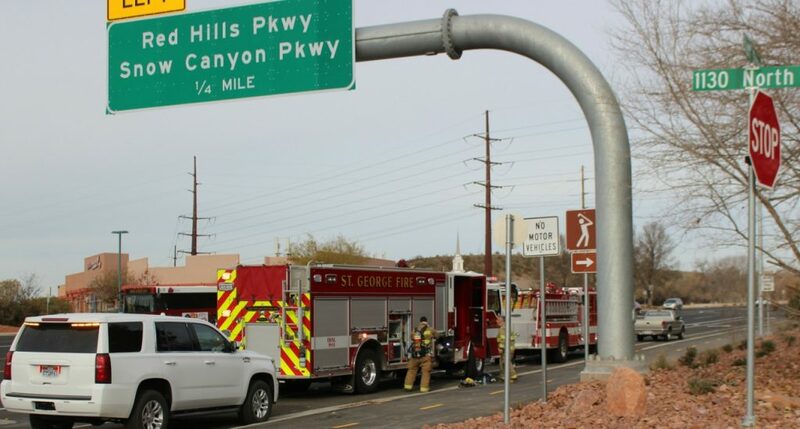 There were approximately 20 firefighters at the scene, and no injuries to crews or residents were reported.